Christmas Around the World in Chapel at Belmont University in Nashville, Tennessee, December 4, 2017. 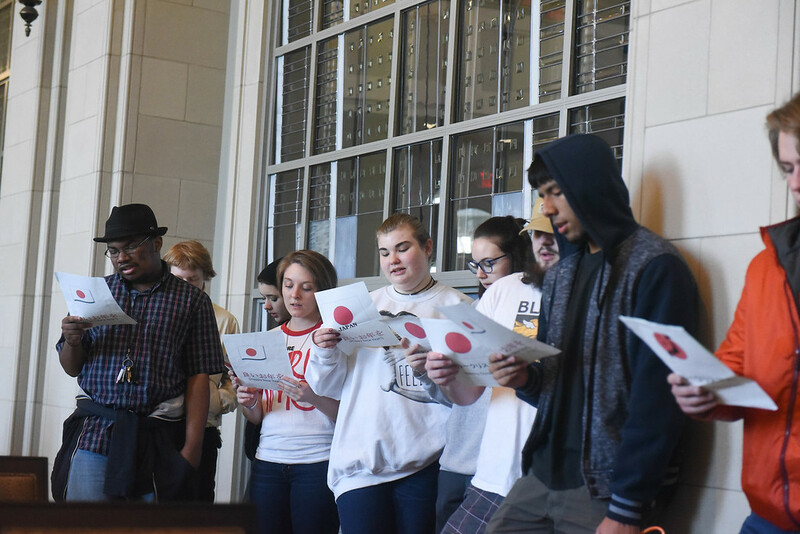 For the third year in a row, students and faculty from the Department of Foreign Languages gathered recently to bring holiday cheer in the Janet Ayers Academic Center with a morning of caroling in the atrium. Different groups gathered around the central atrium on the third floor and sang carols in English and a variety of other languages including Spanish, French, German, Chinese and Italian. The event is held during the convo hour, and more than 100 students participated. Students and faculty from the department also helped lead the annual “Christmas Around the World” Chapel service that was held on Dec. 4.